Extolled by three United Nations Secretary-Generals as “Mr. United Nations” for his dedication to freedom, world peace, human rights, and decolonization, Romulo acknowledged the goodness, the godliness, of every human being. This, which he learned early in life, was to him the very basis of peace. As president of the UN Security Council, Romulo addressed the meeting of July 30, 1980, with UN Secretary-General Kurt Waldheim looking on. 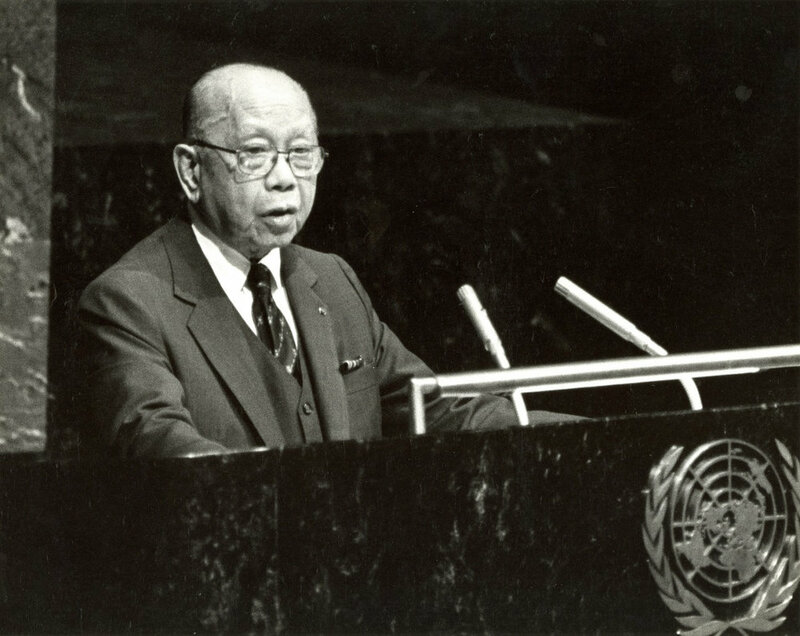 Romulo headed up the Security Council four times, making him the only individual in history to have occupied the post for so many occasions. 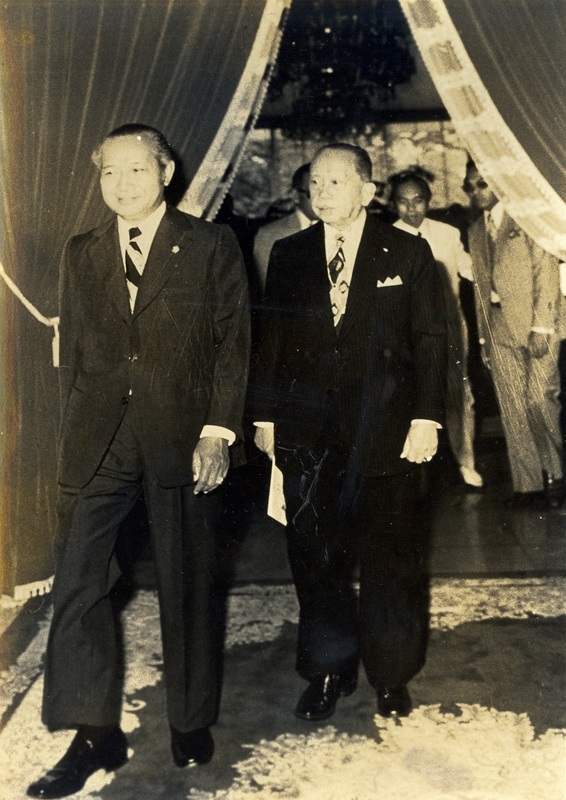 With Singapore’s Prime Minister Lee Kuan Yew at the 10th ASEAN Ministerial Meeting, Singapore, July 1977.